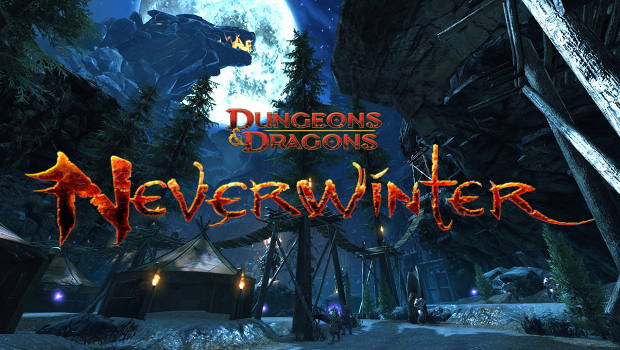 Neverwinter is an MMORPG developed by Cryptic Studios (makers of City of Heroes, Champions Online, and Star Trek Online) and hosted/published by Perfect World that is currently in Open Beta. While I could do a full review on the game now, I rather wait until the game is released to do a review. The purpose of this post is to talk about my current likes and dislikes of the Foundry system in place within the game. 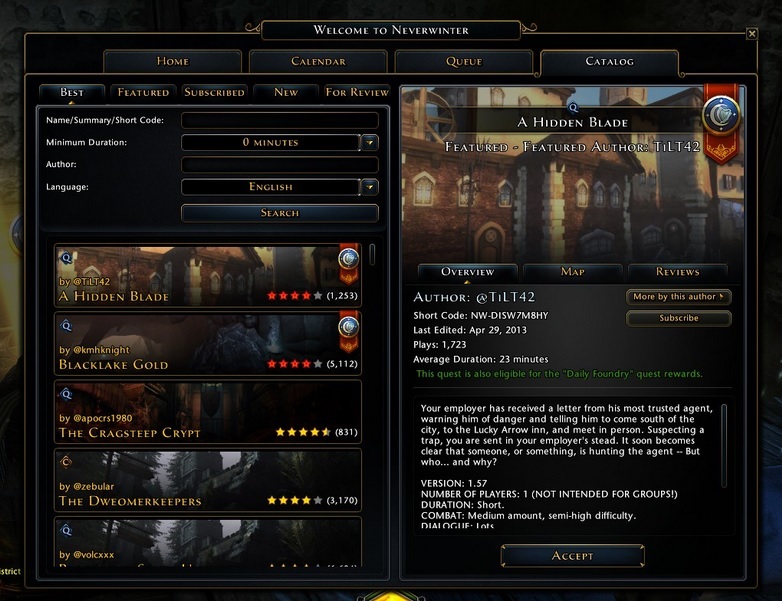 The Foundry is a sophisticated editor used to create custom quests for players to play in addition to the quests that are already in-game and designed by Cryptic. These quests have stories that are entirely user-generated, but the assets (NPCs, Details, etc.) are all created by Cryptic. Your freedom over the story is only limited to your imagination, whereas the other things are limited by the editor. The Foundry is not a new concept by any means, in fact Cryptic has a had a long line with Foundry like programs starting as back as City of Heroes’ Mission Architect, and then “The Foundry” used in Star Trek Online. The Neverwinter Foundry is very reminiscent of these two previously mentioned editors, with the added feel of the original Neverwinter Nights module editor. The Foundry allows for you to pick indoor and outdoor maps already made by Cryptic or choose an empty indoor map and create a custom layout using room pieces. You can then add all the NPCs, details, encounters, quests, and story you want. It’s very easy to learn and use. I the editor, it’s fun and quick to set up things. Adding quests is easy and the layout is easy to navigate. The problems however, arise after you are done with the creation process. After you are done creating a quest you are given the option to release it. Releasing it is simple, click a button and wait for it to be published. This is where is gets bad, once it is published it is difficult for your quest to be seen by the community. I don’t know people get their quests rated or seen, but I’ve released two quests now and both them are still without a score or even a single play. You see, the problem here is that your quest is put into this list called “For Review” which is located in the Foundry quest menu. However this listed is not filter-able, not searchable, and not easy to navigate. 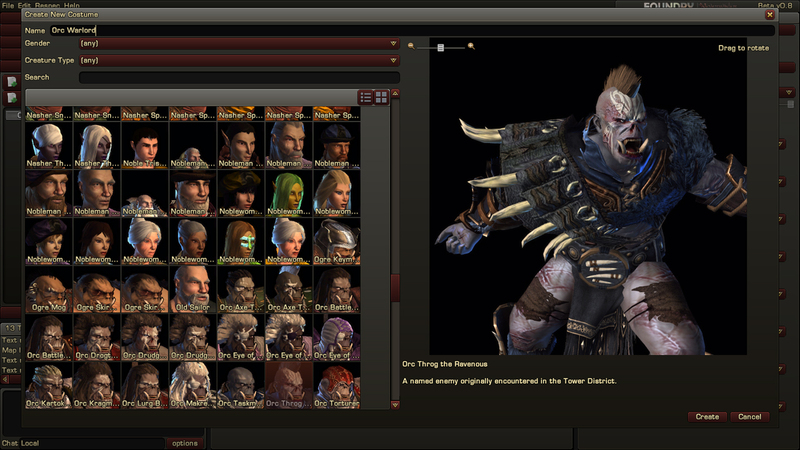 It also, at least on my system (and I have an above-average system) lags my game severely when I scroll through it. Another problem with this list is that it is full of troll maps, XP farms (of which are next to pointless now due to a patch), and “test maps” that are pointless to upload. These maps clog up the system shielding the gems that lay in the list. 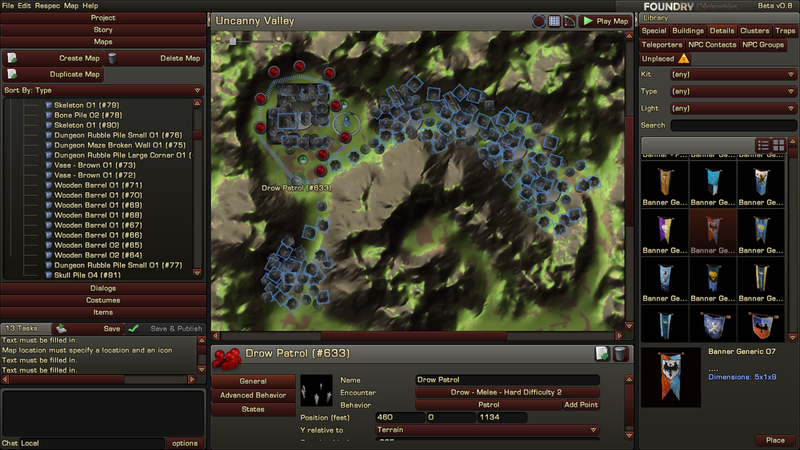 Now, there is a way for your map to be seen through a different, but arguably more annoying method. When your quest is released your are sent an in-game mail that tells your that it has been published. This mail also includes a code that your input into the normal Foundry search (used for maps that are not in the “For Review” section). When you enter this code it will show your quest. This is the best way to find your own quest, but it makes it difficult for others to find your quest, as they need this 10 or so digit code. So you could go on a forum and post this code and ask for people to play and review your quest. BUT I shouldn’t have to do that. Everything should be available and done in the game. I shouldn’t have to use a third-party instrument to get my quest recognized. If features were in place to accommodate the GOOD quests and the non-troll quests, well done quests would get recognition. However, as it stands, the system is flawed and needs a lot of work. To wrap it up, great editor, poor publishing tools. The clarity to your post is just cool and that i can suppose you are a professional in this subject. RSS feed to keep up to date with impending post. Thanks a million and please continue the rewarding work. Thank you for reading my article. You may grab my RSS feed for future updates if you like. I really appreciate your kind words. Thanks, I’ve also been searching for info regarding this topic for a long time and yours is the greatest I’ve found so significantly. Good day very cool web site!! Guy .. Beautiful .. Wonderful .. I’ll bookmark your website and take the feeds additionally?I am happy to search out a lot of useful information right here within the put up, we need work out extra strategies on this regard, thanks for sharing. . . . . .